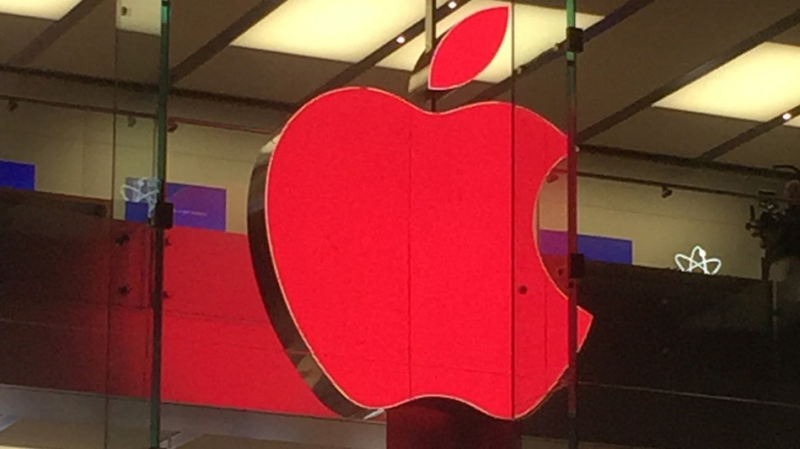 As it has done for the past three years, Apple is once again recognizing December 1 as World AIDS Day at its retail locations by coloring their Apple logos red for the occasion. Several Apple Stores in the United States and the United Kingdom are expected to change the color of their logos, with images from Twitter showing that the company's store in Sydney, Australia has already adjusted its logo. Last week, Apple announced a new campaign for World AIDS Day 2014 done in collaboration with (Product) RED which saw the launch of a special Apps for (RED) section in the App Store and a donation initiative. The Apps for (RED) section is active until December 7 and contains 25 well known apps with the proceeds benefiting the Global Fund to fight AIDS. All of Apple's customers who purchased a select Apple product on Friday, November 28 received a special (RED) iTunes gift card, and during December 1, Apple will donate a portion of every sale at its retail and online stores to the Global Fund to fight AIDS. Apple sells a number of (Product) RED items where a percentage of the profits are donated to the Global Fund to fight AIDS. Throughout the past, those items have included iPod nanos and shuffles, iPad Smart Covers, iPhone Bumpers, iPhone cases, and more. This past June, (Product) RED announced that Apple had contributed $75 million to the Global Fund to fight AIDS. Kudos to Apple for giving back. On another note. I find it sad that a serious global health issue is considered a controversial socio-political topic, and is subject to stricter moderation on this forum. Nice one Apple. Already HIV has become a chronic illness rather than rapidly fatal. More awareness and money to research is fantastic to keep forging forward. Thumbs up. While the donation percentage is probably low, kudos to them. I was just about to post the same thing. Pathetic MacRumors, just like when you put Tim Cook coming out thread in here. In doing so, you're part of the problem. Exactly. Put it in the main thread, have moderators delete the douche bags with asinine comments, and let's try to move forward. Why is this even in PRSI? Because there are still a lot of people who do not understand that it is none of their business what other peoples sexual preference is. We are all on this earth for a brief moment looking for happiness. One would think this should not even be an issue in 2014. As a Type I diabetic, I don't wish a "treatable" disease on anyone. To this, I say that I wish the best of luck to those fighting this to find a cure. However, going from a death sentence to a treatable disease is a huge step in the right direction, as it was in 1924 for diabetes. Take the blinders off. Gay men are a major component in the spread of HIV. Straight couples are a bi-product. Also, the testing of HIV in blood samples is not perfect. I work in a hospital, HIV transmission through blood transfusions still happen. So where do you live? Is the global incidence of HIV transmission reduced to gay men or....? Seriously, why the hell is this in PRSI... This is borderline offensive for a group of people.